Get the FREE Flowdreaming App now! and listen everywhere you go! hundreds of uses for FLOW ENERGY! I think you’ll love these archives that date back to my days as the Creator and Network Producer of Hay House Radio. 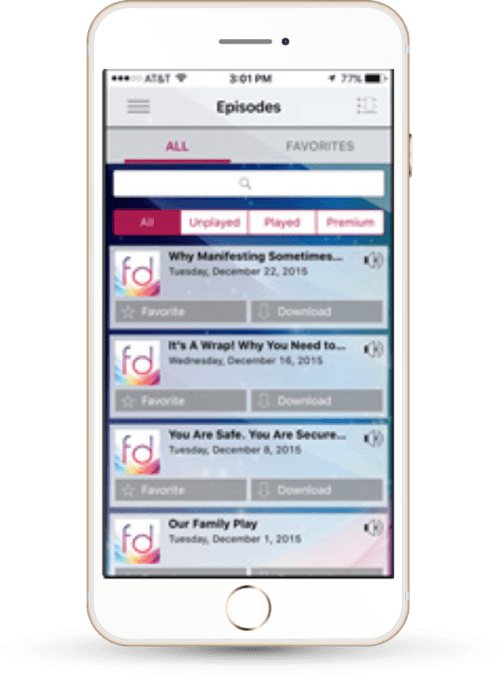 They include hundreds of different topics, all of my special two-hour programs, and the many fascinating guests I interviewed on air. I’ve been listening to this podcast every week for a few years now, it’s filled with infinite spiritual wisdom and real practical life advice, but it’s not like 99% of what’s out there that you listen to and then forget and it never gets implemented in your life. She doesn’t just talk at you. She walks you through the process of how to implement all that wisdom into your life so that you can really build the life you want. She walks you deeper into yourself. It’s an awesome podcast. The episode she labeled: Flowdreaming to deal with career PTSD I don’t know how to find it here. OMG it’s amazing. It has blown my mind, as I experienced what she is saying and literally had a breakthrough. That episode as name implies it’s about the shock of horrible abusive work environment and how that can hold you back when you want to move forward. She literally gave me a map to create a way to heal and how to create tools for others to heal. Summer thank you if you read this. These podcasts are a great mix of techniques and benefits of flowdreaming and grounded yet energizing advice for personal growth. The podcasts are good to replay in the morning while you get ready for your day, and Summer’s genuine love of her work and sharing of her talents is kind of infectious. 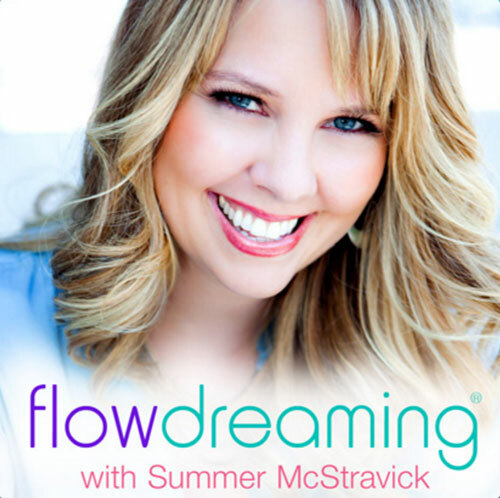 Flowdreaming has been a complete game changer in my personal and spiritual development. I’m going deeper and living more fully. Summer is sincere, thoughtful and completely genius in how she loves, shares her gifts, and profoundly impacts our lives. 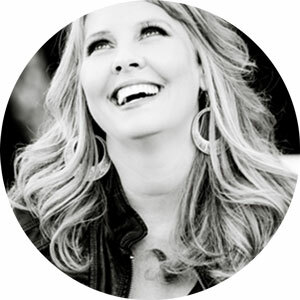 She helps bring to the surface our Best Selves and in return, we share the happy rippling effects with our families, communities, and ultimately the world. — By Flowdreamer For Life! I recently discovered Flowdreaming and I now feel like I have such a deeper understanding of active creation. Thank you Summer, please keep up the GREAT work. I have tried many programs to assist with increasing my manifesting and BAR-none, your work hands down is the best. It’s simple and can be done many times a day. If anyone is really interested in knowing or just checking out the idea, here is a great place to start. These podcasts are fun and informative. A really good sampling of actual Flowdreaming sessions and an opportunity to learn all the different situations it can very helpful. Actually, life altering. I thank you with all my heart.